La Residence is located in the Franschhoek Valley, surrounded by magnificent mountain ranges and various vineyards. La Residence is located in the Franschhoek Valley, surrounded by magnificent mountain ranges and various vineyards. Franschhoek boasts a French heritage with its fine colonial architecture and French flair in cuisine and wine-making. 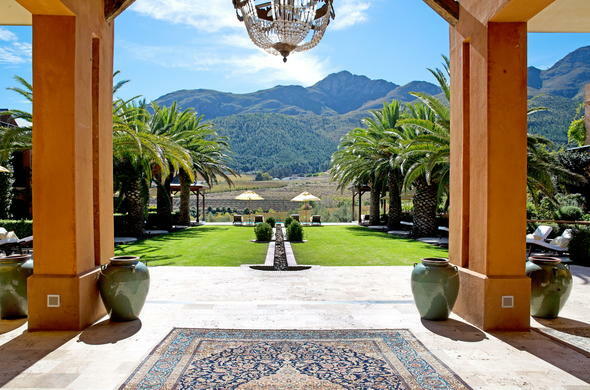 This hotel in Franschhoek, Cape Winelands, South Africa is located on a 30-acre working farm. It is about 45 minutes away from Cape Town.